Shop Yamaha WB2 Padded Keyboard Bench from AMS and enjoy Fast & Free Shipping. The Yamaha WB2 bench is designed to match the YPG635 and DGX630 keyboard, but it is a sophisticated accompaniment to any instrument. 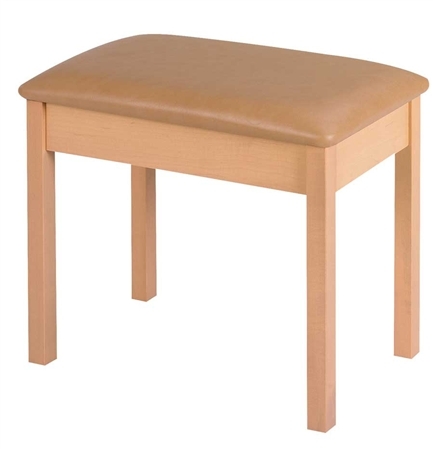 Quality wood construction and a natural finish make this bench an exceptional choice for sturdy support and classical style. The thick padded seat and strategic air vent offer comfort and preservation against usual wear and tear.